Philippines. 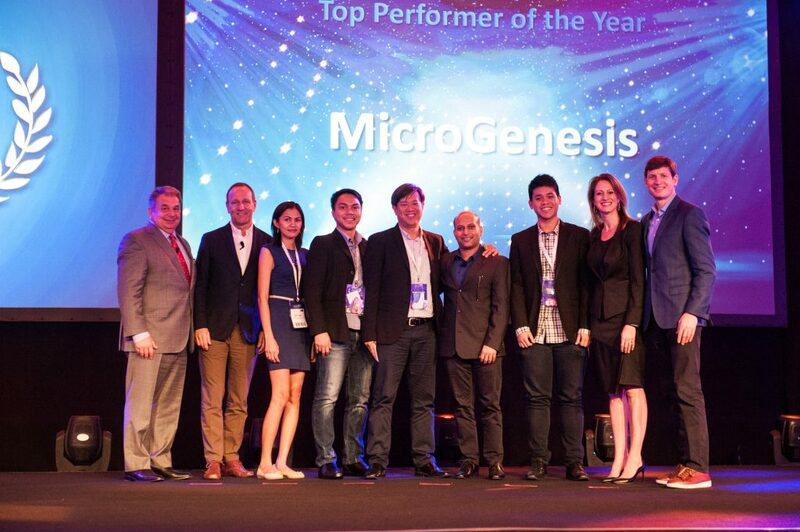 June 6, 2016 – Microgenesis Business System has won the award for Sophos Partner of the Year for ASEAN at the 2016 APJ Sophos Discover Partner Conference in Bali. The conference, held at The Mulia, is designed to celebrate the successes of Sophos partners throughout APJ and to help them take advantage of the latest business opportunities within the fast-moving IT security marketplace. Microgenesis Business System won their award for their outstanding performance in the past year and their commitment and dedication to selling Sophos. “We are extremely honoured to be awarded the Top Performer of the Year ASEAN by Sophos. At Microgenesis, we continually bolster existing industry partnerships aimed at providing value-added services to our clients through serious investments in sales, technical and support resources. We are proud of our partnership with Sophos over the past 14 years and are excited about the company’s developments in endpoint and network security. We aim to continue working closely with Sophos to fulfill our promise of ‘Making IT easy’ for organisations”, said Jeffrey Choa, Executive Director, Microgenesis Business System. The APJ conference in Bali is the final of Sophos’ three annual partner conferences this year. It saw Sophos CEO Kris Hagerman and the executive leadership team deliver keynote sessions on Sophos strategy, its partner commitments and the broader future of the IT security industry, in front of over 500 people attending the Sophos sales and partner event. Partners also attended a packed agenda of breakout sessions delivered by key business, product, technical and sales experts.